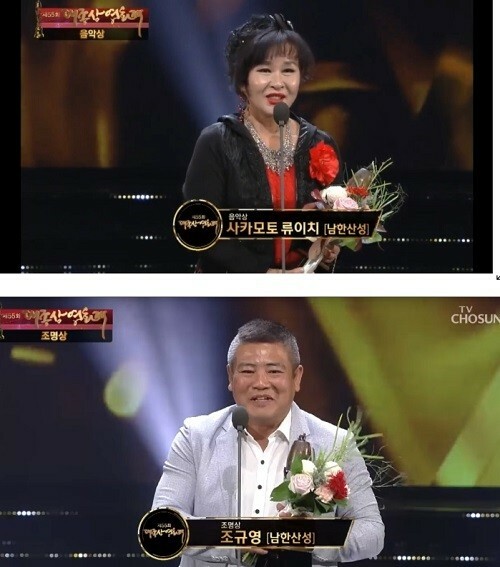 A case of completely random strangers coming up on stage to receive awards in place of the real award recipients, has caused major confusion online and in the Korean film industry. Back on October 22, the 55th annual 'Grand Bell Awards' took place. On this day, musical director Sakamoto Ryuichi of 'The Fortress' was awarded 'Best Music' award. Unfortunately, the musical director was unable to accept his award because he was in Japan. A representative from Siren Pictures, the production company behind 'The Fortress', began heading toward the stage in order to accept the award in Sakamoto's place; however, she was stopped when another, older woman walked up on stage with a big smile. The older woman accepted the award and the bouquet of flowers happily, then said, "Congratulations. [He] was too busy and was unable to attend, so I am here in his place. My name is Han Sa Rang, and I'm a singer/actress. Thank you. Congratulations again." Afterward, it was revealed that this trot singer Han Sa Rang had no relation to Sakamoto Ryuichi or any staff from movie 'The Fortress' whatsoever. The representative from Siren Pictures was eventually able to find Han Sa Rang's party, getting ahold of the 'Best Music' award trophy safely. Han Sa Rang revealed after the fiasco that "an executive member of the award ceremony's organizers asked me to receive an award in place of an absent recipient. I only went because I was afraid that no one would be there." 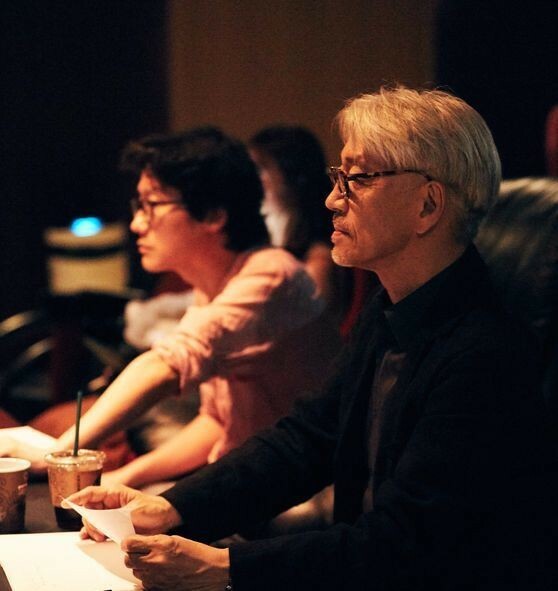 Coincidentally, the award for 'Best Lighting' also went to a lighting director from movie 'The Fortress', Jo Gyu Young. It's been revealed that another random stranger - this time an unidentified male (seen in the second photo below) - accepted the award in place of lighting director Jo Gyu Young. Siren Pictures representatives were unable to get ahold of the award trophy from this unidentified man, and the trophy is still missing. Seeing the mass confusion caused by this fiasco, netizens are demanding that the 'Grand Bell Awards' be terminated. Netizens argued that numerous, real recipients were not present at the award ceremony, causing others to accept the awards in their place. Have you seen a fiasco like this before?